To gain a competitive edge in today’s markets, businesses need to think smarter and look that bit further to seek out the solutions that drive performance, quality and reliability forward. Such a philosophy has helped Ford Components become one of the world’s leading manufacturers of high precision machined and metal pressed metal components in many industrial sectors. We pride ourselves with a reputation for competence, quality and innovation which is down to over a century of experience in manufacturing. Metal Stamping and Pressing is a process that use dies to transform flat metal sheets into shapes. Odds are that many of our clients will have a product in their home that has parts created through metal stamping or pressing because it is a process used in everything from household appliances through to the Defence Industry. This process is used for producing parts for large industrial machinery, but the metal sheets can also be moulded into shapes for household items like pots and pans. The presses we use for metal stampings create quite a wide range of products through a series of operations including blanking, metal coining and four slide forming. 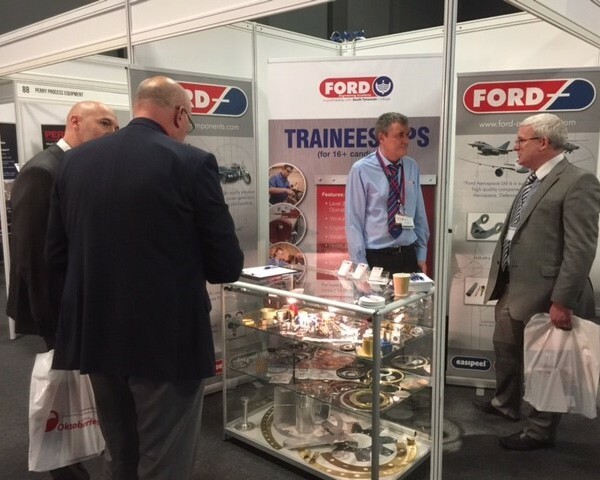 Because we have such a wide range of products and serve many industries such as Automotive, Medical, Power, Construction, Defence, Marine, Railways Oil & Gas we know it is important Ford Components provide our clients with a range of Case Studies to inform them of the progress we are making and the capabilities we have.